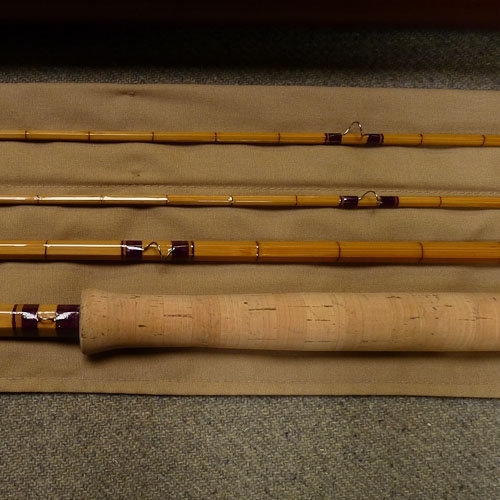 This is a lovely 12ft 8-9wt hollow built double handed salmon rod. 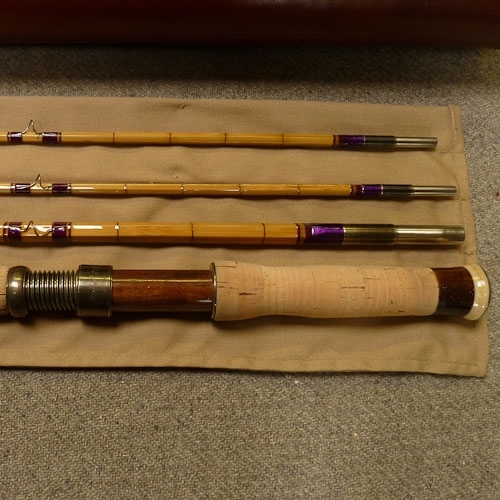 The rod comes with a spare tip as standard. 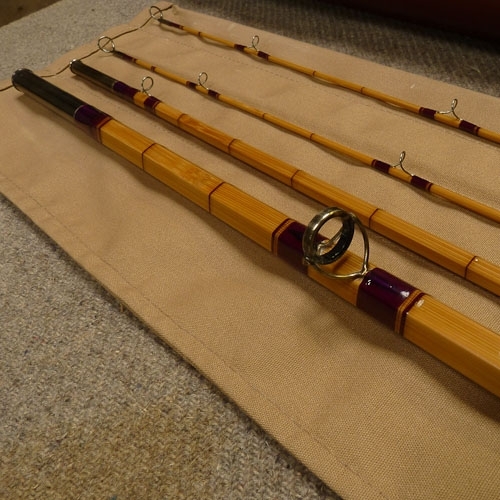 There is often requests for custom work with salmon rods and I am happy to undertake this at cost. I will always undertake to give a fixed cost quote on any work that you would like done. Delivery is 20 weeks custom work will usually take a little longer. The rod in the photos shows a rod with custom leather rod tube and also a optional metal and bridal leather travel case to protect the precious cargo on its many travels. 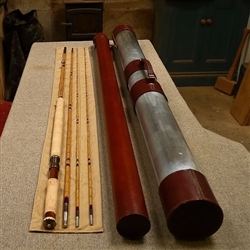 Please note that delivery time on Salmon rods is currently approx 26 weeks.If you would prefer to pay in installments.